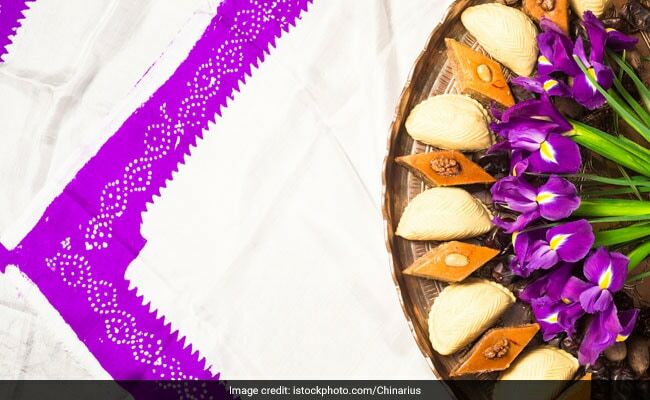 That Parsi food is all about sweet and sour flavours is a completely wrong notion, says fifth generation Parsi chef Mahrukh Mogrelia. “Not all our food is sweet and sour. 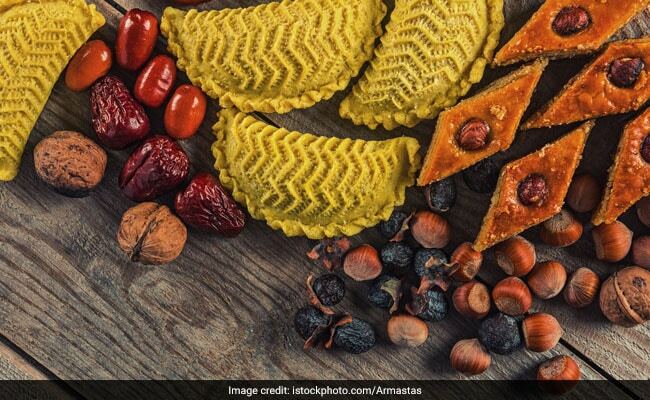 There are a lot of fresh herbs and homemade spices that go into Parsi cooking,” shares Mahrukh, a resident of Nana Chowk in South Mumbai, whose Parsi food pop-ups are extremely popular among her guests. 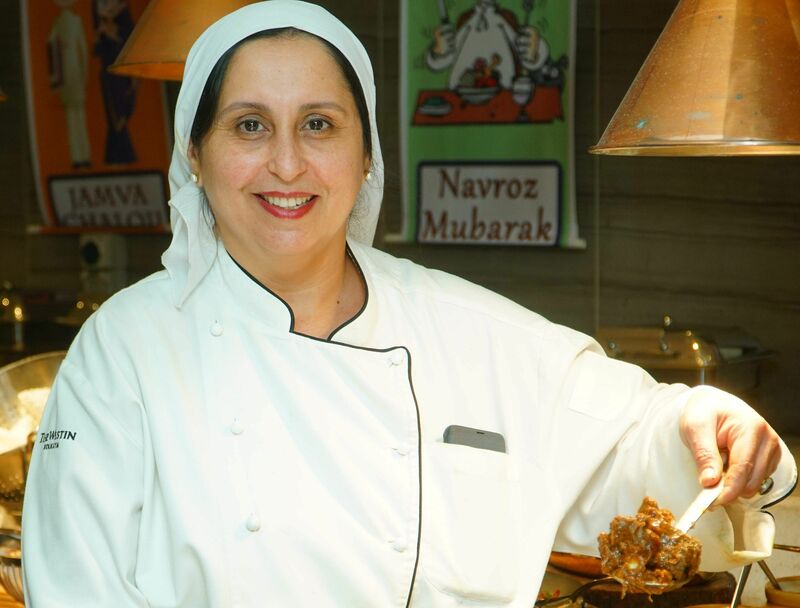 The 49-year-old elegant cook, who has been rustling up delectable dishes since age seven, was in Kolkata to usher in Navroz, the Parsi New Year, with a flavourful week-long festival at The Westin Kolkata Rajarhat. The guests were served authentic Parsi dishes including Chicken Farcha, the Parsi version of Kentucky Fried Chicken, lip smacking Mutton keema cooked with sweet onions, tomatoes, chillies and a hint of coriander and shallow-fried Tatrela prawns coated with green chilli, garlic, cumin seeds, coriander and mango-ginger. There was also a wide array of dessert options including the Lagan Nu Custard, Kopra Pak and Sev. On the sidelines of cooking up a storm, she shared with us a simple yet yummy fish recipe, the ever popular Patrani Machhi. 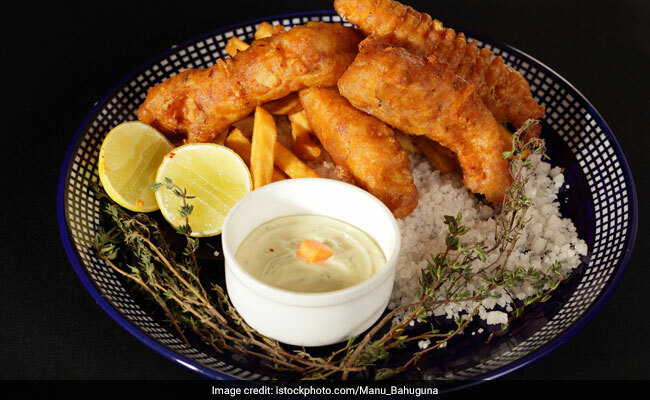 “Fish is considered extremely auspicious by us, and we have fish on all festive occasions,” she says. ● Wash the fish, apply salt and turmeric and keep aside for a while. ● Grind and mix all the ingredients into a fine paste. Take a banana leaf and apply a little cooking oil on it, and put the paste above and under the fish evenly. Then wrap the fish in banana leaf and tie it. ● Sprinkle some vinegar on it before steaming the fish till it is cooked. ● Serve with plain rice and daal or enjoy as it is. Dotivala Bakery completes 158 years — one of the longest surviving businesses in India. The Parsi community in Karachihas always been a minority, but one that has left an inimitable legacy. Late Jehangir Framroze Punthakey, in his book, The Karachi Zoroastrian Calendar, called the Parsis, “the makers of the Karachi of today.” They belonged to the elite in Karachi, with the city’s first mayor, Jamshed Nusserwanji, also belonging to a Parsi family. Be it institutions like The Mama Parsi Girls’ Secondary School and the BVS Parsi High School, or infrastructure facilities such as the M.A. Jinnah Road, the Parsi community has significantly contributed towards Karachi’s history and heritage. While families like Minwalla and Avari invested into five-star hotels and fine-dining eateries, others chose to adapt a humbler approach towards satisfying the appetites of Karachiites. In the latter category, Cillie’s has remained the market leader for creating delicious baked goods. Situated inside a 100-year-old house in Parsi Colony, Karachi, Cillie’s stands as a reminder of the inclusivity and tolerance that used to exist in Karachi post-partition, and how the minority communities still survive here in peace and harmony. Upon entering the neighbourhood, which once housed many Parsi families, most of whom have now migrated to the West, a prominent shift in the city’s energy can be felt. With low fenced houses, and single and multi-storey buildings, the locality stands in stark contrast with its adjacent areas of Saddar and M.A. Jinnah Road, which are full of the pollution of a bustling and congested metropolis. Driving into the quiet and calm streets of the Parsi Colony, the visitors are transported to a different zone, where their eyes do not meet high-rise glass buildings, but are instead welcomed by old brown stone structures with big windows and balconies, showcasing architecture from the late colonial period. In a city known for its rising crime rates, the houses of Parsi Colony confidently keep their gates open and their walls low, without any of their guests worrying about security. Cillie’s too, keeps its main gate open for visitors to walk in without hesitation. Moreover, even though the house has no signboard for the bakery, one can always rely on passerby’s for directions and be guided straight towards the popular destination near the community park. Though the structure is multi-storey, the business itself functions through a small window on the ground floor. With four delicate steps leading up to the window, and a swing placed on the porch for visitors to sit on as they wait for their cakes, Cillie’s looks nothing like a mainstream confectionery, yet immediately gives a warm homely feeling. 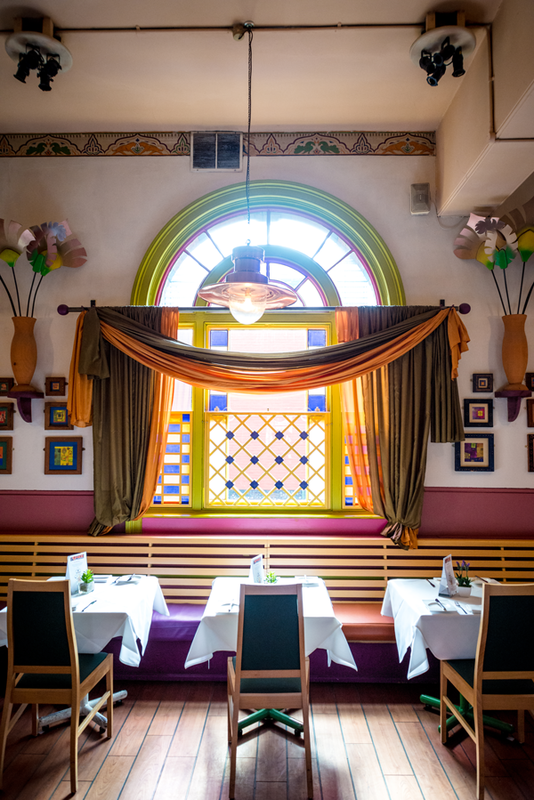 Can you spot the window which has delicious secrets hidden inside? The business started in a house in Garden East, nearly 50 years ago, and was founded by a Parsi lady named Cilly, who now lives in Texas. However, the bakery was moved to its current location thirteen years ago, when the owner sold the previous house. The house in Parsi Colony is owned by a sweet lady named Bakhtawar, who greets the visitors personally, and even takes the newbies through the variety of desserts that they serve, ensuring great customer service. Serving a range of desserts at surprisingly reasonable prices (some of which are as low as Rs.300 for a full cake), including plain cakes, butter icing cakes, and ice creams, Cillie’s was actually the first bakery in Karachi to introduce fresh cream cakes. Though their menu now has 16 different flavours of fresh cream cakes, their classic plain cakes remain hard to beat. The marble cake, especially, is soft and succulent, and serves as a perfect combination with evening tea. While all desserts are entirely homemade, along with the mousses and creams used for the cakes, only a few delicacies are available for walk-in customers. All other orders need to be placed at least a day before. Since Cillie’s does not have a dedicated social media profile, their main source of publicizing the place remains word of mouth, along with the strong network of fans that Cillie’s has acquired over the years. 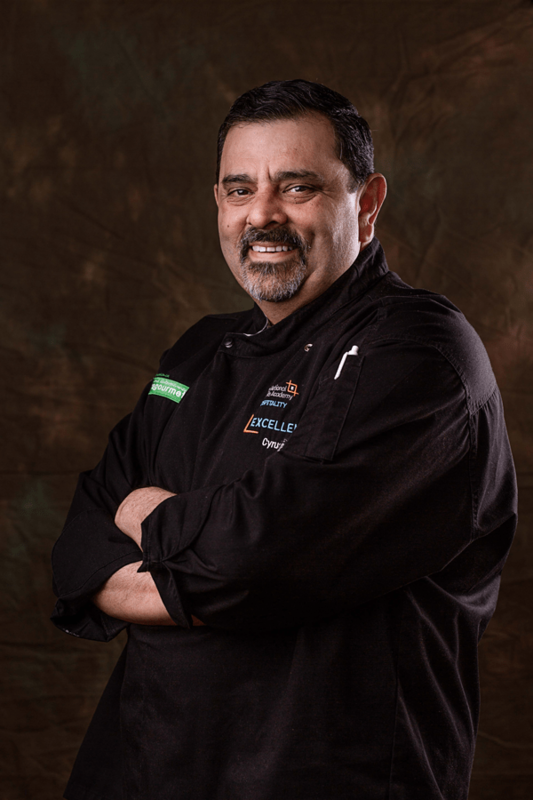 In fact, the delicacies remain so popular amongst the Parsi Community that Naushad Mehta, Cilly’s son, has opened an outlet of Cillie’s Cakes in Houston, USA as well, and word has it that their products taste equally delicious. Karachi may have witnessed the birth of numerous new and fancy cafes and bakeries in the last few years, but to say that the best flavours of the city are hidden in quiet corners like Cillie’s would not be an exaggeration. Cillie’s is a perfect representation of the strength of the Parsi community and how dedicatedly they have always served the people of Karachi. Though only a few Parsis remain in Karachi now, the community and its contributions need to be preserved as much as possible, and given the same level of respect as their Muslim counterparts. On our adventures across the world, each country has their own version of what Indian food is. 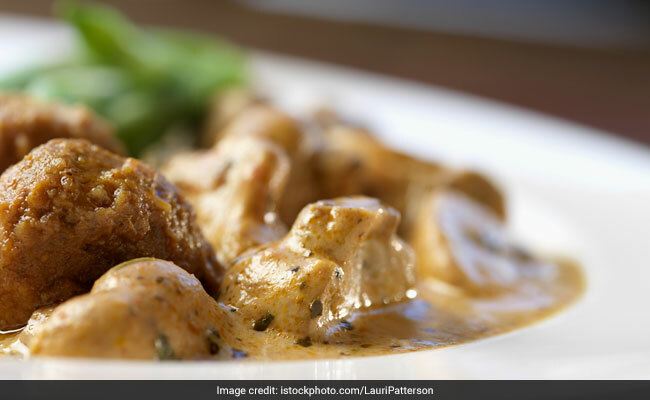 In the UK today, Indian food is massive with National Curry Week celebrating more than 200 years of Indian restaurants in the UK this year. We were invited to meet super Chef Cyrus Todiwala OBE DL to talk about Indian cooking and to also try the imaginative food at his restaurant, Café Spice Namasté. Cyrus and Pervin Todiwala’s family-run Indian restaurant near Tower Bridge has been open since 1995. On a rainy November Saturday, the room is packed full of locals, regulars and those in the know. Looking at the menu, what amazed us were the broad range of ingredients on offer. Alongside the main menu, there is also always a seasonal menu which included game meatballs (made with grouse, pheasant, mallard, venison and partridge), pheasant tikka, British apple bhaji and much more. Make sure you try the home made pickles to start off. For starters, a goat Dosa hit the mark. A white lentil & rice pancake filled with diced goat in a thick curried yoghurt made sharing very difficult! The other highlight was a salmon tikka from the highlands of Scotland marinated in a delicate green masala sauce. If you are in a group, ask for the mixed grill where you can sample all the tikkas. The term vindaloo is often associated with tears and having to down a glass of milk in pain to show off your chilli prowess. Here, the real pork vindaloo is on the menu and it’s hot but not fiery hot with the deep chilli flavour coming through. My vegetarian companion particularly loved the smoked aubergine cooked with shallots, tomato & yoghurt and the lentils sizzled with chopped garlic and cumin. Overall, what struck us most was that Café Spice is so authentically different. Cyrus and Pervin have built an award-winning institution, holding a coveted Michelin BIB Gourmand for 18 years which says a lot about the experience, which is what this was – an experience. Dinner was like a voyage of discovery which we want to go on again and again. From tomato per eeda to fried kera per eeda, we try to analyse the unending love affair which Parsis have with eggs. Anyone who has ever had the joy of eating at a Parsi home or restaurant would know that Parsis are inordinately fond of eggs – in any and every form. Their long and steady love affair with the egg can be seen in a number of dishes – runny kejriwal, keri kanda per-eeda (eggs on mangoes), sekta-ni-sing per-eeda (eggs on drumstick), salli per-eeda (eggs on potato straws), tamota per-eeda (eggs on masala tomato), bhida per-eeda (eggs on ladyfinger), bhaji per-eeda (eggs on fenugreek leaves), fried-kera per-eeda (eggs on fried bananas) and even eggs cooked on clotted cream or malai-per-eeda. Eeda means egg and per-eeda literally means “egg on top”. But has it always been the case, or is the Parsi obsession with eggs a recent phenomenon? Turns out, this egg mania finds its roots in ancient Iran. According to Contractor, “in ancient Iran and in the entire Caucasian region, eggs were seen as a symbol of fertility and new life”, which is the reason behind eggs becoming a key part of Parsi cuisine. As a practice integral to their customs, Parsis are supposed to observe abstinence on the eleventh month of the Parsi year, Bahman, when they do not eat meat – yet, eggs are allowed at this time. “The month of Bahman is the equivalent of the Christian Lent. Zoroastrians abstain from eating meat. Since vegetables were limited in variety and availability, fish and eggs became the mainstays of the month.” Even if vegetables have long surpassed these limitations with respect to both availability and variety, eggs never left the Parsi plate. However, culinary anthropologist Kurush Dalal feels that the very concept of associating Parsi cuisine with (mostly) eggs is what is a classic case of “overgeneralisation”. “Eggs are well packaged and have a good protein content. That is why they find their place in Parsi food. It is nothing new. It is an absolute misconception that Parsis break an egg into almost everything. You will never find eggs in Dhansak or Patra ni Machi”, he explains. Today on episode 4 of Outside and In with the Cooks Cook we explore the Mango! Well known as the King of Fruits it can be used in all sorts of cooking as shown by guest chef Niloufer Mavalvala. The Parsi community across India is looking forward to celebrate the Parsi New Year on 17th August 2018. In August, Parsis commemorate their arrival and acceptance on their new homeland. Originally from Persia, Parsis follow the religion Zoroastrianism, which was founded by Zarathustra in Persia. This day is also known as Jamshed-i-Nouroz, after the name of the Persian king Jamshed, who is believed to introduce the Parsi calendar. People in India follow the Shahenshahi calendar, which does not take into account leap years, and as a result of which the Parsi New Year is celebrated in India and Pakistan about 200 days after it is observed across the world. Parsis may be a small community, but they have contributed to Indian culture over the years, alongside other religions and communities. Also known as Pateti, the celebration of Parsi New Year is said to have begun some 3000 years ago. It falls in the month of August, as per the Gregorian calendar. On this day, people pray for prosperity, health and wealth. It is known as the day of remittance of sins and repentance. People clean their homes, decorate their houses with rangoli and flowers, adorn new dresses, and visit Fire Temple to ask for forgiveness for any mistake committed in the past and start afresh. The celebrations also include feasting over an elaborate meal, where friends and families come together and celebrate the auspicious occasion with much fervour. On the big day, people usually prepare delicacies like meethi sev dahi, mora dal chawal (also called dhan daar), machchi no patio, mutton pulao, saas ni machchi, marghi na farcha (crispy fried chicken), patra nu machli, sali boti, berry pulao, jardaloo chicken, kid gosht, cutlets, mawa ni boi, lagan nu custard, et al. Preparations start a day in advance to ensure that all the dishes are prepared perfectly and are full of flavour. Parsi mutton curry, with prominent flavours of tomatoes, onions, jaggery and vinegar, makes a special delicacy during special occasions like the Parsi New Year. This one’s going to be a star-dish among your family and friends. Celebrations are incomplete without the much coveted Parsi mutton cutlets. To prepare this dish, you need minced mutton, potatoes, bread crumbs, eggs and a host of spices. Don’t forget to serve it with sliced onions and chutney. 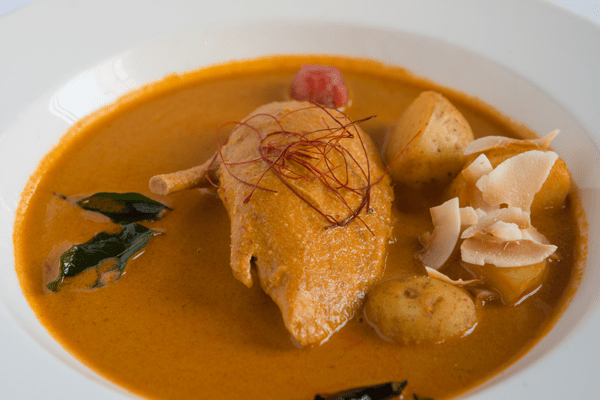 Chicken farcha is a delicious Parsi recipe that is a blend of spices and a tang of lemon. It is served with your choice of dip or chutney. Lagan nu custard is a dessert, which is usually prepared on weddings or Parsi New Year. Made with simple ingredients like milk, eggs, butter and nuts, it is a perfect dessert to celebrate occasions. Pomfret fillets coated in coconut chutney, wrapped in banana leaves and steamed to perfection, that’s patra ni machchi for you. Once unwrapped, add a dash of lemon juice to enjoy the tanginess. Lamb cooked in a burst of masalas, rich cashew paste and coconut milk essence, kid gosht is a festive special. Happy Parsi New Year 2018! It gives me great pleasure to make available the PRINTED “Vividh Vani” by Meherbai Jamshedji Wadia. First published in circa 1867, this mammoth cookbooks of two volumes total 1570 pages and has 2180 recipes, of traditional Parsi Indian cuisine, plus Continental Western and British Cuisines. This cookbook is an antique and many Zoroastrian Parsis hold it the dearly as an family heirloom. (including myself). My original copy is now falling apart like a cracker paper, and is kept in sealed plastic bags. Worms are probably eating away the paper! 30 years back I brought this original copy from Ahmedabad, India. It took me 6 months of work to scan these on a paper scanner, print and collate. I made a handwritten index in English so I could search recipes and then read the Gujarati text and cook for my family here in USA. Through software and amazon services, We have managed to print the “Vividh Vani” in high quality paper . You can now own a brand-new copy of the Vividh Vani in strong paper bound books. These printed volumes are exactly the same antique and original books of Meherbai Jamshedji Wadia. They include photos and letters of the Wadia family. They are a legacy item for the parsi kom that can be preserved another 1000 years and more! I have distributed the book as a FREE digital download for years on my website atwww.ParsiCuisine.comand now it is available in 2 four inch thick volumes. See photo (attached) and product details below.